Maria Åkerberg Mascara Volume Black. Mascara Volume Black suits individuals who look good in cool colours. Especially suitable for those who would be described as winter or summer by a colour analyst. Mascara opens up the gaze, making you look more alert. Mascara from MARIA ÅKERBERG contains skin-friendly, plant-based ingredients that add volume and length to the lashes. The colour comes from natural minerals, such as Iron Oxides, Talc and Titanium Dioxide. The packaging contains 10 ml Mascara Volume Resistant Black. Apply one layer of Mascara Volume Black for a natural result. For a more distinct, dramatic eye makeup, apply several layers. Do not use oil or eye cream too close to the lashes, as it might dissolve the mascara. 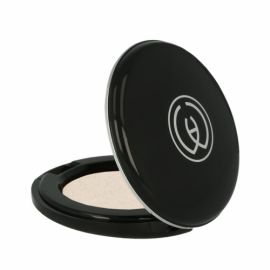 Apply powder near the eyes; this will help the mascara stay in place. If the mascara should clump, wipe it off on a clean paper napkin. Do not ”pump” air into the container. If you happen to get some mascara in your eye, it might cause a burning sensation, but it is not dangerous. Remove Mascara Volume Black with Eye Makeup Remover or Pre-Cleansing Oil Gentle. Ricinus Communis (Castor) Seed Oil, Aqua Purificata/Water, Stearic Acid, Glyceryl Stearate, Cera Flava (Beeswax), Sorbitol, Copernicia Cerifera (Carnauba) Wax, Rosa Canina (Dog Rose) Fruit Oil, Mel, Palmitic Stearic Triglyceride, Acacia Senegal Gum, Helianthus Annus (Sunflower) Seed Oil, Rosmarinus Officinalis (Rosemary) Leaf Oil. +/- Cl 77499 (Iron Oxide). .. a shimmering pink lip gloss in a transparent shade.